At State of Search last week, I asked Gary Illyes from Google about Google’s search results pages and how Google determines what to show. I started by asking if there was any discussion between the ads side and the search side when such things as Google AdWords switching from 3 ads to 4 ads at the top of the search results. Google has long said that there is no interaction between AdWords and Search because ad spend should never equal special treatment in the organic search results. Illyes reconfirmed this, and then went into more detail about how Google determines what to show on the search results page. And it turns out that there is a bidding system in place behind the scenes to decide when to show special features such as maps, knowledge panels or other results. In general we don’t have a connection – okay, I am actually starting to break a sweat – so in general we don’t have a connection – we as the search team – doesn’t have a connection with the ads team. So for example, if one of the large customer sales or an account manager comes to us to ask us to fix whatever because for their client [me: they spend millions of dollars on ads every month and they want help] yes, exactly. Then we very aggressively push back on that. There’s no way that we would interact with them and try to fix things. What I do not know is what’s happening on executive level. Obviously the search page has an owner, someone who is responsible for the search page. And I would imagine, as with any organization that they would discuss between – the different execs – would discuss how much space ads can take up. This is my personal opinion but in a normal company, this is how it would work, would discuss those things. Below exec level, we are kind of forbidden to interact with the sales team. This has been long known by those on both the organic and the paid side of the industry. But Illyes then discussed in greater detail just how Google decides what to show on the search results page, outside of the regular “ten blue links” of the organic search results. 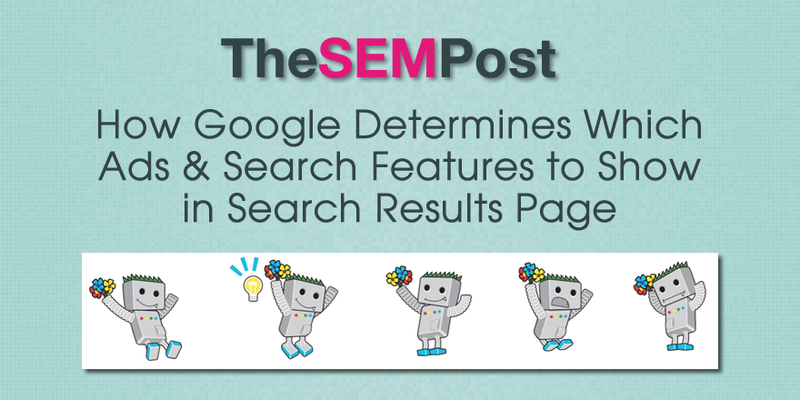 Some SEOs have questioned how Google does determine whether to show a knowledge panel for a particular query, or when to dedicate space to video or image results. A bidding system is used and Illyes dives into this aspect of it further. I’m on organic side, I have absolutely no idea what the ads team is doing and how they are getting those spots. There is however a bidding system on the search results page and essentially every single result that you see was bidding for that position. Bidding in this case means that it was trying to use the ranking factors that it got in such a way that it would get a position. Ads and other results, including knowledge panel, video results that are embedded, image, maps, they also have to bid for their position. And we have to ensure that the user gets what they are looking for. That might be an ad. They then adds that sometimes ads are more relevant to some queries. I click a lot on ads because – although my clicks don’t count because I usually search from my Google.com account and Google employees clicks don’t matter for the advertisers. But I click a lot on ad mostly because they typically are more relevant that the organic search results – for me that’s kind of shameful because we should improve the organic search results. But sometimes its just stuff we couldn’t discover, like in the Porsche 911 case it could be that landing page that was in my example in the second position, that could have been AdWords landing page that we could have had indexed. And if that’s served as an ad, then that would be way more relevant to me if I wanted to buy a Porsche 911 which I absolutely don’t want to do, then the homepage for example for Porsche. The Porsche 911 example referred to comments he made earlier in the Q&A regarding the discussion of links as a top 3 ranking factor. When it comes to the bidding system itself, I suspect this is an area where Google does use click data. If they know a higher percentage of searchers click through on image results versus video results for a particular query, it makes sense to show those images for that query and to give it a higher priority in position on the page. Likewise if no one ever clicks those images, it might make more sense to drop them from the query or lower its position on the page.